The theme of this year’s BIO International Convention was “Make History”, and it did just that. The event, hosting over 1,800 exhibitors and thousands of speakers, drew over 18,289 global attendees and facilitated more than 46,000 one-on-one meetings during its 4-day duration (setting a Guinness World Record for “The Largest Business Partnering Event”). BIO attracted companies, academic centers, patient groups, researchers, investors, and even celebrities such as cancer survivor and award-winning journalist Robin Roberts as well as director, actor, and advocate Rob Reiner. We had the honor of participating in this historic conference, and so we’d like to share select highlights with you. Robin Roberts, ABC’s Good Morning America journalist, kicked off BIO. She discussed her triumphant victory over cancer and her trailblazing career in journalism during her interview with BIO president and chief executive officer Jim Greenwood. Roberts also noted in her conversation with Greenwood, that she believed “in dreaming big and focusing small.” In other words, accomplishing great things takes time; Rome wasn’t built in a day, as the saying goes. BIO has become a launching platform for new partnerships, ventures, and awards. To illustrate, U.S. Health and Human Services (HHS) unveiled a new initiative called DRIVe (Division of Research, Innovation, and Ventures) to come up with new solutions to some of the toughest health security challenges we are faced with such as early detection of illness and sepsis. Another announcement that caught everyone’s attention was a five-year alliance between Johnson & Johnson (J&J) and Boston University – an attempt to change the way we detect and treat lung cancer today. J&J will fund a Lung Cancer Center at Boston University Medical Center as part of this new alliance. Just as important, the Henri A. Termeer Biotechnology Visionary Award was given to Dr. Sue Desmond-Hellmann, CEO of the Bill & Melinda Gates Foundation, for the innovative spirit and transformative impact on patients’ lives. This is the first-ever award created in honor of the late Genzyme CEO who was instrumental in transforming Boston into a thriving hub of life science research, development and innovation. Thousands of attendees from over 74 different countries participated in the event, and most of the essential biotech hubs and nations had a presence in the form of pavilions and summits at the event. For example, a “conference-within-a-conference” called the China Summit was one of the country-specific meetings at BIO which highlighted the complexities of the world’s second-largest biotech market, and among other vital issues focused on the importance of collaboration between U.S. and China in the scientific research and business. Tweet gives a glimpse of the China Summit. Canada’s presence at BIO couldn’t be ignored either. Economic development and tech transfer teams, businesses, scientists, and government officials from The Great White North were seen everywhere. A prominent Canadian politician from Nova Scotia even gave a forward-looking speech on the future of Canada’s bioeconomy. Bill & Melinda Gates Medical Research Institute (MRI), the new, unconventional biotech startup that operates independently of profits and investors, was introduced at the BIO International Convention by Dr. Penny Heaton, the institute’s CEO. The organization is a non-profit spinoff of the Bill and Melinda Gates Foundation — the world’s wealthiest charity. Dr. Penny Heaton described the mission and approach of the Bill & Melinda Gates Medical Research Institute and discussed the roles of both organizations and their strategies to combat infectious diseases globally. MRI aims to develop products that will potentially eradicate diarrheal disease and end the TB epidemic. Although we didn’t attend the over-the-top party called PABNAB, our team had a great time interacting with our customers and partners at BIO. The world’s most powerful regulator, Scott Gottlieb, was also present. During the Fireside Chats at BIO 2018, the FDA commissioner expressed his thoughts on developing lower-cost generics and biosimilars. He also shed light on other things such as gene therapy, the opioid crisis, more opportunities for patients, and the new Right to Try law. Many innovative technologies and businesses also caught our attention. 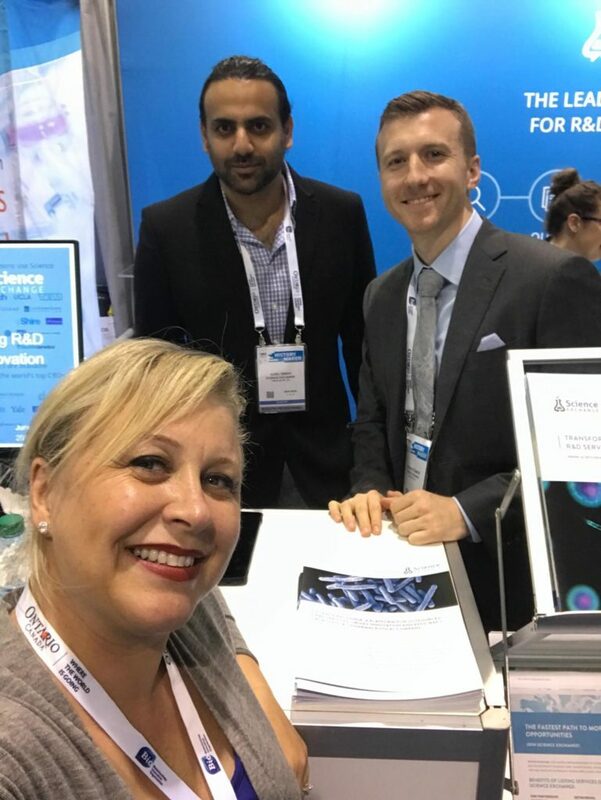 To illustrate, innovations like real-time patient monitoring, video collaboration tools, 3D cell cultures, AI-enabled knowledge databases, microfluidic platforms, virtual reality 3D molecular visualization, and new inventive liquid biopsy technologies were big head-turners at the event. In addition, we learned about new innovative initiatives by biotech companies, big and small alike. One such company is Recombinetics; they employ gene-editing technology not just to improve human health but also to improve the health, well-being and productivity of animals. The company’s gene-editing technology can potentially be used to create animals with welfare traits, such as pigs that don’t need to be castrated, hornless cattle, heat-tolerant livestock and other disease-resistant animals. Another example is Alnylam Pharmaceuticals. In his “Bio Buzz” Interview, John Maraganore, the company’s CEO, talked about an entirely new class of medicines derived from the Nobel Prize-winning discovery of advances in RNA interference (RNAi). With investigational RNAi therapeutics, it is possible to block the production of disease-causing proteins. Just as important, Amgen shared its approach to treating migraines. The company believes a new method of theirs can treat a problem that affects nearly one billion people across the globe – migraines! If you couldn’t attend, we hope our coverage of this year’s BIO convention gave you a sense of its scale, history and importance.